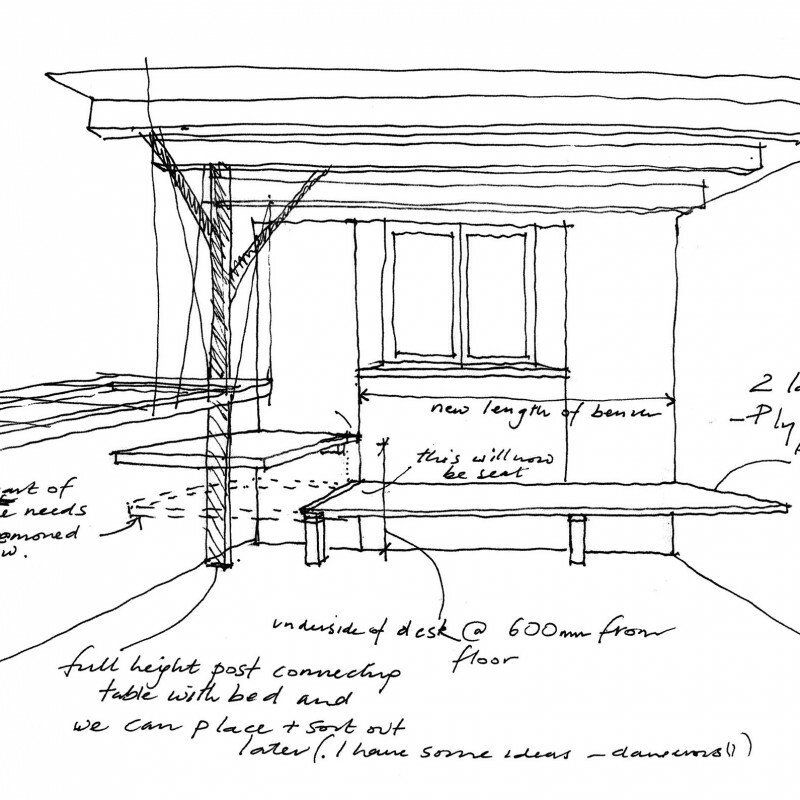 The project considers the transformation of a house to a home, responding to a growing family and their changing needs. New facilities are provided for an academic study, and a consideration of the living spaces in response to the security and safety of a toddler. Spaces are opened up, and defined using colours and materials to create a healthy, comfortable and happy place to live. A new study is created within the basement, a haven of lightness and peace. Doors provide a link to a small outside terrace, ideal for contemplation, and linked with steps back to the garden. Details are kept simple yet elegant, with the external trellis work brought inside to define the hallways.